Chicago, January 21, 2016 (GLOBE NEWSWIRE) –SafeStop, the original school bus tracking app, announced that four school districts in Illinois are launching the service. Parents and school officials in Lake Bluff Elementary School District 65, Lake Forest School District 67, Lake Forest Community High School District 115 and Deerfield School District 109 will now be able to safely and securely connect in real-time with their children’s school bus. The launch of these high profile Chicago area school districts, through a partnership with Olson Transportation, adds to the vehicles already utilizing the app in large public school systems and small private schools throughout the country, with more vehicles being added regularly. Created in 2013, SafeStop is the fastest growing app of its kind that allows parents and school officials to securely track the school bus. The app includes a secure registration process, real-time map feature that displays the location of their child’s bus, provides estimated times of arrival at their bus stop, and provides parents with an alerts and messaging center. The messaging center serves as an extra channel of communication that alerts parents about important school news such as delays, closings, early dismissals or upcoming school events and eliminates the need for phone calls to schools or bus depots. School officials are using the data provided by SafeStop to establish and review Key Performance Indicators (KPI’s) and provide ridership reports for their transportation system so they can compare, evaluate and optimize their on-time performance. “School officials are raising their customer service level for parents by providing SafeStop, but also finding that the administration reports we provide are a great management tool to measure KPI’s and potentially lower the cost of their operations,” added Gallagher. SafeStop is available in the U.S. and Canada. It is compatible with any transportation provider, any GPS hardware, and any routing software. The service provides flexible payment options and can be school funded or school subsidized with a small monthly fee to parents. Pro-rated launch prices and monthly plans are available so that schools and districts can start using the app anytime during the school year. Plans are also available for the 2016-17 school year. Parents are encouraged to contact their school officials to request the installation of SafeStop. Private, charter and public schools along with colleges and universities interested in the service can contact a representative through the company’s website. 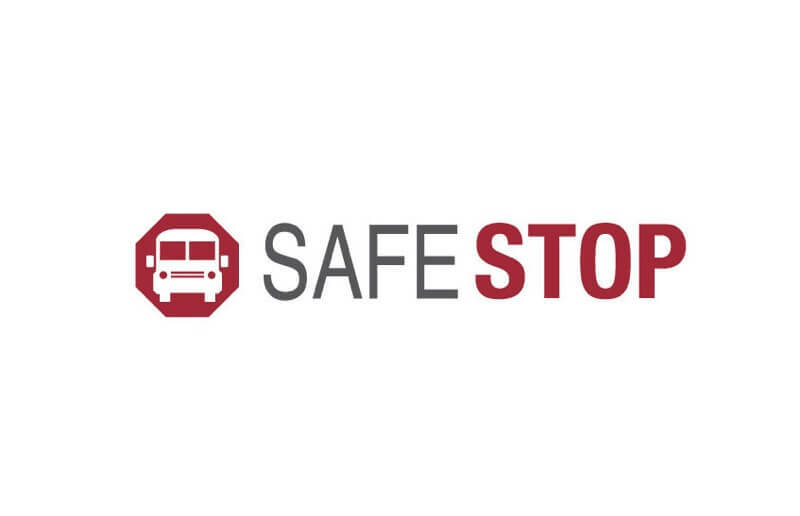 SafeStop, a product offered by SafeStop, Inc., is a powerful and secure application that connects parents and school administrators with the vehicles transporting their students. Created in 2013 by transportation industry experts, SafeStop app provides a secure registration process, real-time map feature, estimated arrival times, and an alerts and messaging center for its users. The app brings timely, accurate and valuable information to parents and school officials across North America.